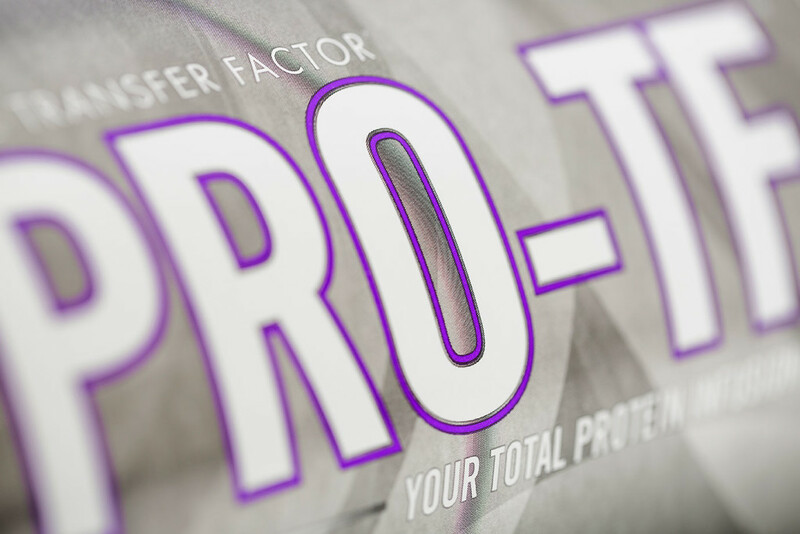 With so many protein supplement options to choose from, you might ask why PRO-TF™ is the best. Learn what sets PRO-TF apart from the competition, discover unique ways to share PRO-TF with customers, and get answers to six frequently asked questions to give yourself the edge. Replace the flour in your favorite indulgences with PRO-TF. Bake healthier versions of cookies, pancakes, or crepes, while increasing protein and decreasing carbohydrates. Visit the 4Life® Pinterest page, and check out the PRO-TF board for recipe ideas. Add a scoop of PRO-TF in coffee and blend for a delicious, foamy latté that’s low in fat and high in protein. Sprinkle PRO-TF on whole-grain cereal or oatmeal, or stir into low-fat, plain yogurt. Add one to two scoops of PRO-TF to NutraStart® Chocolate or NutraStart® Vanilla for a creamy, protein-infused meal on-the-go. Try the Frozen Berry Blast or Pineapple Berry Cooler smoothie recipes on the 4Life Pinterest page. Fuel your workouts by combining PRO-TF with Energy Go Stix® or 4Life Transfer Factor® RioVida Stix® Tri-Factor® Formula. Why is PRO-TF the best protein on the market? Why do I need to consume quality protein? How much supplemental protein should I consume? What is the optimal way to use PRO-TF? That depends on your transformation goal. To control your appetite and lose weight, consume PRO-TF prior to meals to improve feelings of fullness and regulate hunger. To reduce your consumption of starches and sugars, consume PRO-TF with meals and between meals. To increase muscle mass and performance and promote optimal recovery after a workout, consume at least two scoops of PRO-TF in a post-workout shake. For best results, consume protein-packed meals and snacks every two to five hours. What’s the difference between hydrolysis, hydrolyze, and hydrolysate protein? The difference is tense only. Hydrolysis is the chemical reaction of breaking peptide bonds between amino acids. Hydrolyze is actually bringing about a successful hydrolysis reaction and breaking a larger protein into smaller parts. Hydrolysate is the final product made from a hydrolysis reaction. Why does PRO-TF taste sweet? PRO-TF contains less than 1 gram of sugar. So, why does it taste sweet? The formula includes natural vanilla cream flavors and sucralose and acesulfame-potassium sweetners. 1 4Life Research and Auburn University’s Molecular and Applied Sciences Laboratory in the College of Education, School of Kinesiology, conducted research to demonstrate the safety and efficacy of PRO-TF™, a patent-pending product [FASEB J 2014;28(1):LB440; FASEB J 2014;28(1):LB439]. To learn more, visit 4life.com.